The summer of 2004 was one which will live in the minds of Chelsea fans everywhere. A year after Roman Abramovich’s takeover, the club had just finished second in the Premiership and reached the Semi Finals of the European Cup, for arguably its most successful season in history, even if there was no trophy at the end of it. But it wasn’t enough. Manager Claudio Ranieri was sacked, and the effervescent, young and confident Jose Mourinho was hired. The rest, as they say, is history. Five years on, and it is history worth looking at. Chelsea currently find themselves in something of a similar position, and by looking back, they can learn from successful, positive decisions made in 2004 which would benefit the club right now. We’ll start with the manager. Whilst Carlo Ancelotti isn’t Mourinho, he comes to the club with a Champions League winners medal and multiple domestic title successes. He turns 50 in a week, slightly younger than Avram Grant was and considerably more sprightly than Luiz Felipe Scolari. He’s not as young as the Special One, but he’s young enough to have played at the top level in the 1990s and managed in European club football in the following era. In short, he comes to Chelsea with many of the same questions being asked of him as Mourinho had – can he be successful in England, what will he do with Abramovich’s generous budget, and can he win the big one for Chelsea? The squad Mourinho inherited had, shall we say, its fair share of dead wood. It was only a year since the club was saved from financial peril, and a bloated squad assembled by Ranieri was added to in the first twelve months of Roman’s reign with a mish-mash of good and bad signings. Jose arrived, and oversaw something of a cull. Jimmy Floyd Hasselbaink, Boudewijn Zenden, Emmanuel Petit, Marco Ambrosio, Jurgen Macho and Mario Melchiot were all sent packing on free transfers. All were considered past their peak or expendable, and they were joined by the sale of the inconsistent Jesper Gronkjaer and the eventual release of the troubled Adrian Mutu. Juan Sebastian Verón and Hernán Crespo were expensive arrivals under Ranieri, but neither had settled and more importantly neither suited Mourinho’s philosophy. They were cast aside on loans back to Italy, whilst young but inconsistent strikers Mikael Forssell and Carlton Cole were allowed to further their footballing educations on domestic loans. Such a mass exodus naturally left holes to fill, and not only were they filled, they were filled with players who would shape Chelsea’s most successful ever era, and players who shape the team today. Mourinho could consider himself lucky to have come into a situation where the club had already signed 22 year-old goalkeeper Petr Cech and 20 year-old dazzling winger Arjen Robben. When he got his own hands on Chelsea’s warchest, he went back to FC Porto to get 25 year-old Paulo Ferreira and 26 year-old Ricardo Carvalho. With something of a gap up front to fill with Crespo and Hasselbaink gone, the signatures of 25 year-old Mateja Kezman and 26 year-old Didier Drogba were secured, and just for good measure, Mourinho returned to get another of his former Portuguese charges, in the 23 year-old midfielder Tiago. What the club now had was a young, dynamic squad, one which hadn’t yet experienced success, and one which was very, very hungry for it. With Robben and Duff on the wings, there was elite pace and directness to hurt teams, which paid immediate dividends with a prolific run of results early in Mourinho’s tenure at which the duo were at the heart of. The squad was capable of playing at least two systems, had the depth to survive injury to Drogba (with Gudjohnsen in superb form), and was growing into their manager’s philosophies. 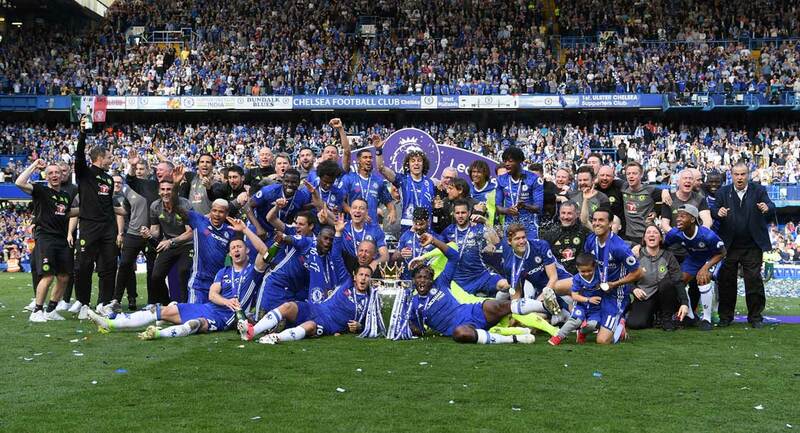 Come back to the current day, and look at the Chelsea squad. Whilst there’s not the same level of dead wood, it’s more a generation thing. Without being too harsh to the names mentioned, the likes of Michael Ballack, Deco, Ricardo Carvalho and Juliano Belletti would all have been possibly cast aside by the ruthless Mourinho. Salomon Kalou could be this team’s Gronkjaer, whilst even Ferreira and Drogba could have been considered for the chop if you were being really harsh. There’s a startling lack of youth in the squad, and in terms of style, there’s a gaping lack of skill, pace and verve in the mould of Robben, Duff and Gudjohnsen at their free-flowing best. The club needs a backup goalkeeper it can mould for the future. Now sure, Cech is secure in his role as number one and considered one of the league’s best – but so was Carlo Cudicini when Cech was signed. It was thought Cech would have to bide his time to earn his way into the team, but he played from day one, and turned into the world class stopper he has largely been. Arguments could be made that some of his most uncertain form in a Chelsea shirt has been since Cudicini left. So, to provide some extra competition, Ancelotti could do a lot worse than sign someone who could genuinely take his place if he earned it. Since this is a speculative piece, why not name-drop, and go for someone like Piet Velthuizen. He’s the same age as Cech was when he was signed, coming from a developmental league in Holland (as Cech did from France) and comes very highly rated. There’s a vacancy for cover at left-back and competition on the left wing for the revitalised Florent Malouda (and who knows how he’ll perform post-Hiddink). Yury Zhirkov fits the bill for both positions, and is a good age at 25 to be a key figure for the next five years. Michael Mancienne can fill any positional depth at centre and/or right-back in a similar manner to that of Robert Huth under Mourinho – a club-developed defender capable of filling in and doing a good job. The midfield is undeniably getting older. Ballack and Deco are on the wrong side of their careers and Ancelotti has to consider a young, dynamic attacking player for the future. Frank Lampard can be considered a constant due to his fabulous physical conditioning but not lining up someone for the future who can play neat, intricate football would be naive. Once again, we turn to a name which has been linked regularly with the club, and another Russian in Alan Dzagoev. He has the benefit of fitting this particular bill, being young enough to not command an immediate starting place, but of sufficient ability to play his way into a regular role. Then we take a look at the attack. Like it or not, the team simply doesn’t have a Robben or a Duff right now, and such was their game-changing ability it’s been sorely missed since Duff suffered numerous injury problems and Robben never quite got over them. To target new wingers is an incredibly hard job – Ashley Young and Franck Ribery have oft been linked, but they don’t quite fit the Robben and Duff mould which was so dangerous. Searing pace, the ability to play off either wing, and chip in with ten goals a season. Answers on a postcard for potential names, but this position more than any other will change games at the drop of a hat. And the focus shifts to the attack. Drogba and Anelka are both on the wrong side of 30, although only just in Nico’s case. Whilst it’s premature for them to move aside, it’s never too soon to look to the next five years and who will be filling their spots. Mourinho signed one expensive goalscorer and one relatively cheap ‘gamble’ (which in Kezman’s case failed), whilst allowing his young strikers to get valuable loan experience (both have since become full internationals). So, who do we look at? Real Madrid’s chase of David Villa is expected to be rivalled by Chelsea, but with the Valencia man’s inclination to stay in Spain, you turn to Plan B. Villa signing for Real Madrid would bring about the availability of Klaas-Jan Huntelaar. His detractors may point out that he could be another Kezman, but such doubts are tempered by Huntelaar’s record in Spain this season, being the most prolific striker in terms of goals per minutes on the pitch. He’ll be 26 by the time the 09/10 season kicks off, the same age as Drogba was. For the other spot, you want someone with the potential to mature into a lethal finisher at something of a bargain fee. Eyes turn to France, where PSG’s Guillaume Hoarau fits the bill. He has fantastic size, pace and athletic ability, skill, and 20 goals in 42 appearances for a team which returned to the top end of the French league this season, in no small part due to his goals. He wouldn’t cost the world – like Edin Dzeko might – and would be able to learn from two native tongues in the current incumbent goalscorers at the Bridge. So there’s a potential squad. I’m not saying it’s perfect, and it’s perhaps short on English players with the inevitable onset of 6+5 over the coming years, but it’s not entirely about the personnel. You can make your own lists – the most important thing here is to learn the lessons of history, of five years ago, of a summer which shaped Chelsea’s most successful ever period. The squad is in desperate need of regeneration, and now is the perfect time to do so. Passing this opportunity over simply provides another year to allow the competition to get closer (in Liverpool’s case) or further away (in Man Utd’s). That’s before even mentioning the holy grail for Mr Abramovich, the European Cup. Over to you, shall we say, Mr Ancelotti?